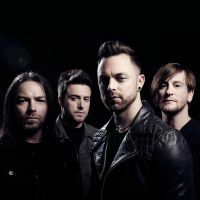 Bullet For My Valentine in Montreal or Quebec City? Inform me about the next events for Bullet For My Valentine. Enroll yourself to our priority waiting list for Bullet For My Valentine to be alerted when new tickets are available. Filling this form doesn't engage you to any purchase. Bullet for My Valentine will be performing at the Metropolis, in Montreal, on October 6th, 2010. The European band will be promoting its third studio album Fever, which was launched in April of 2010. Escape the Fate will be the opening act.